Situated at an altitude of 1650m, only 30 kilometres from Albertville, the Saisies mountain pass lies between the Beaufortain and Arly valleys, linking the Savoie and Haute Savoie regions. 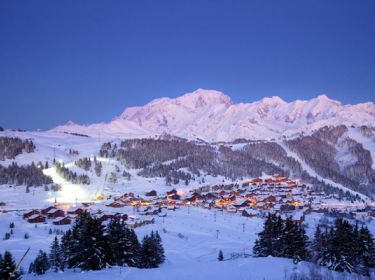 Enjoy the memorable panoramic views of Mont-Blanc from in and around the resort. This friendly family resort boasts an architecture that perfectly integrates the surrounding environment. A selection of chalets and residences are built with local wood and stone.